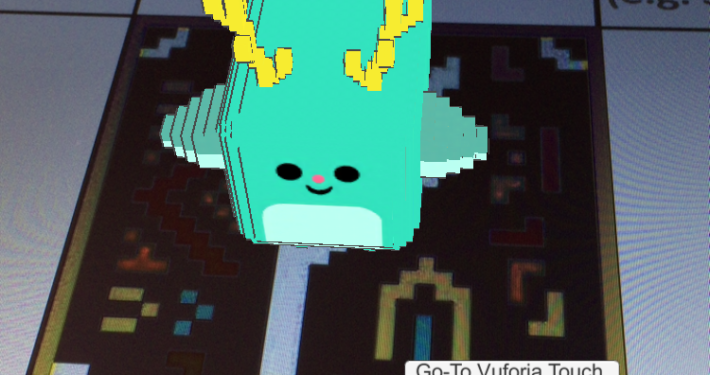 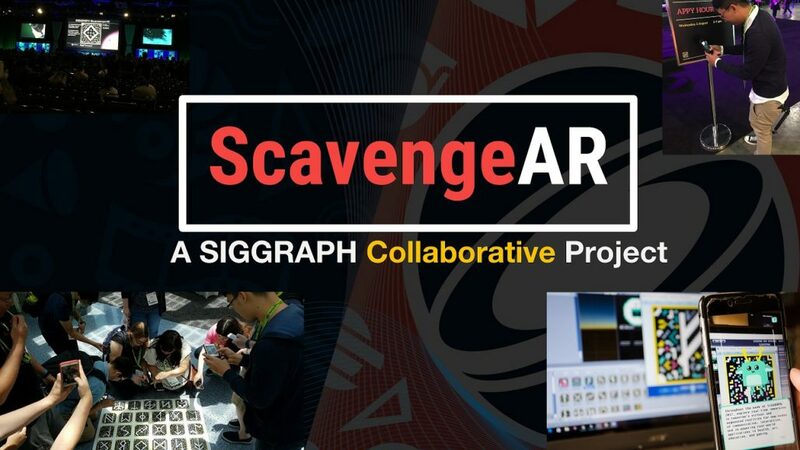 ScavengeAR is an Augmented Reality Scavenger Hunt Application created for the 2017 SIGGRAPH VR Village. 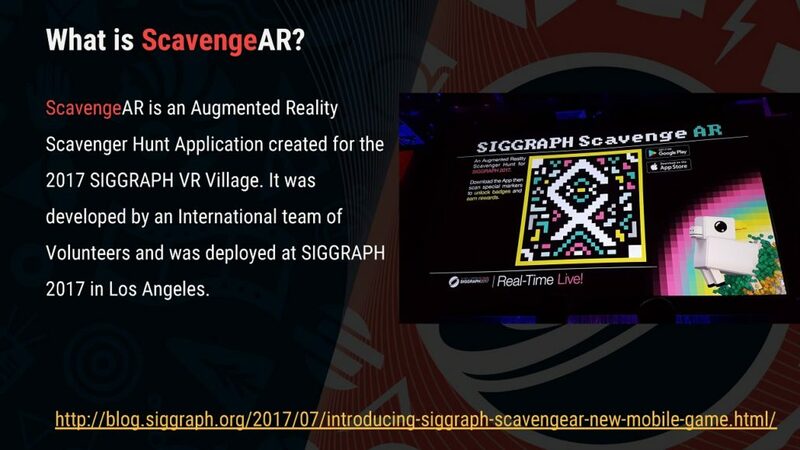 It was developed by an International team of Volunteers and was deployed at SIGGRAPH 2017 in Los Angeles. 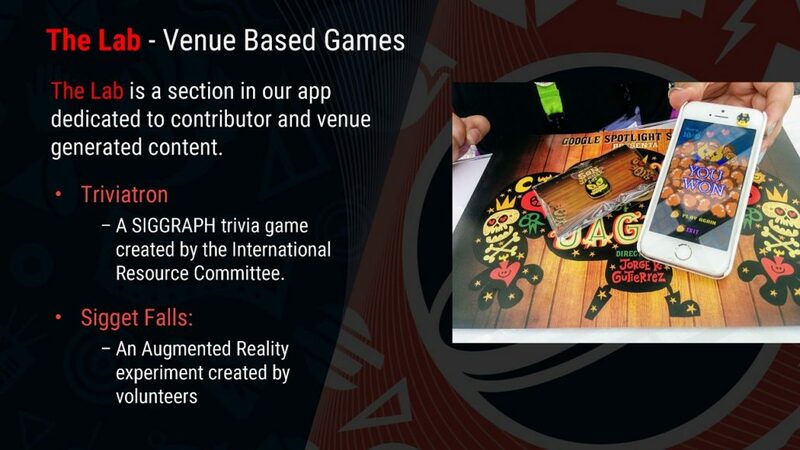 The Lab is a section in our app dedicated to contributor and venue generated content. 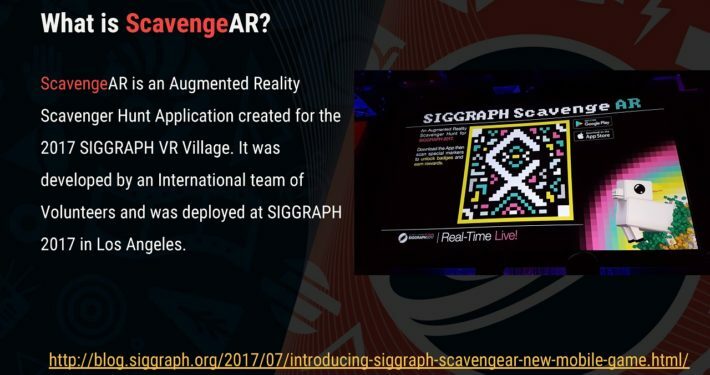 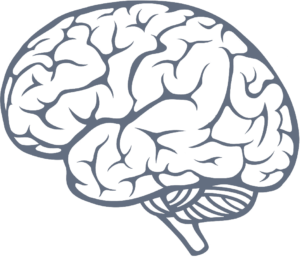 A SIGGRAPH trivia game created by the International Resource Committee. 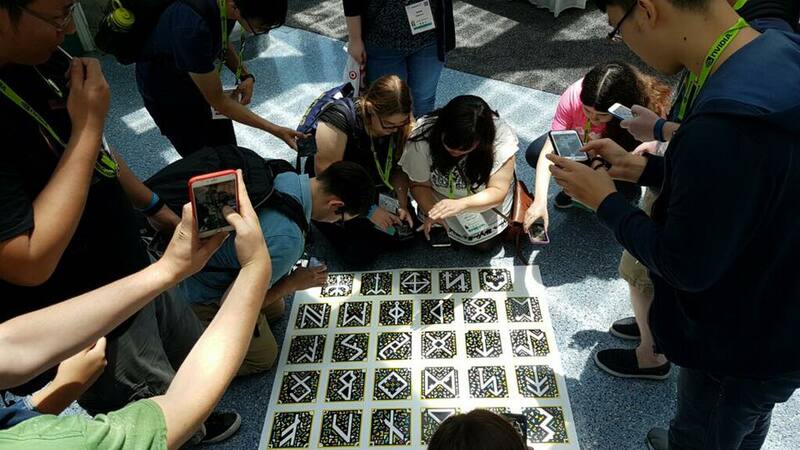 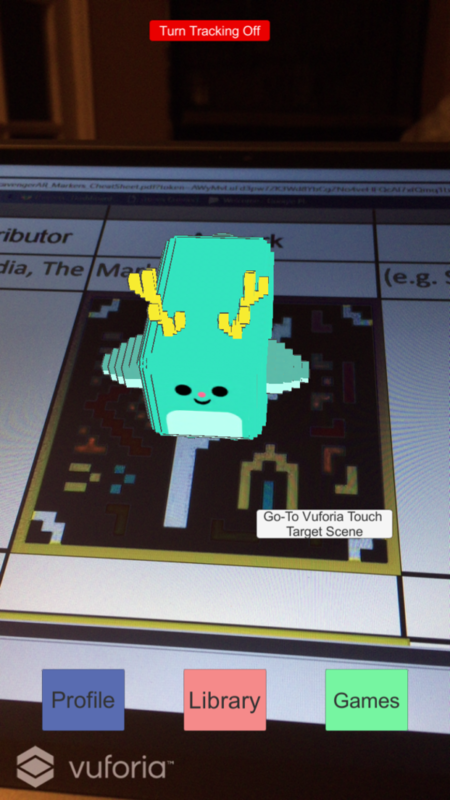 Introduced Attendees to Augmented Reality on iOS and Android platforms. 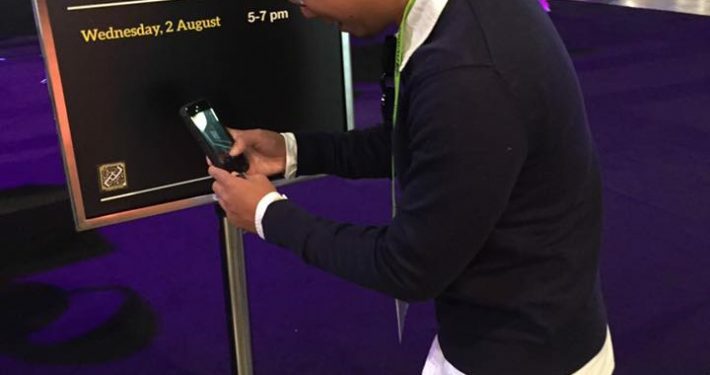 Created new opportunities for people to network with each other. 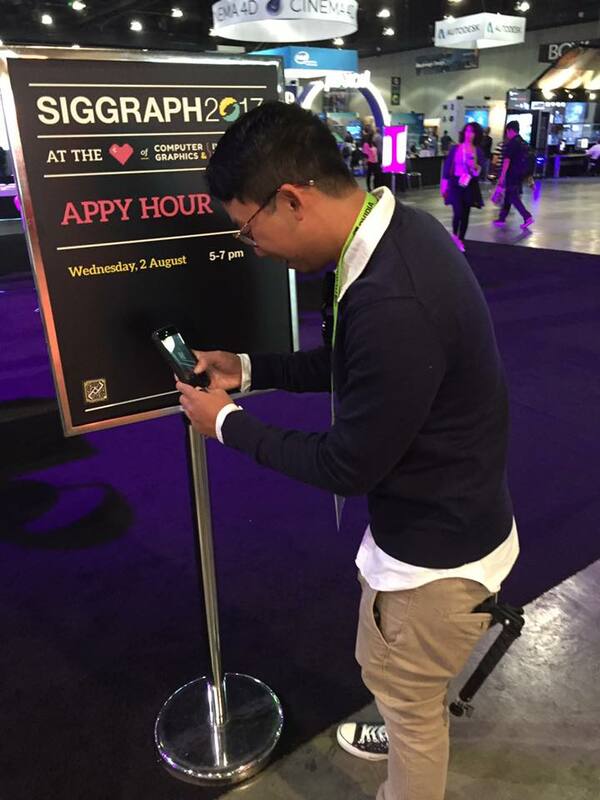 Create Larger SIGGRAPH Social Media presence that extends beyond the conference by providing more options for attendees to share and tag photos from SIGGRAPH. 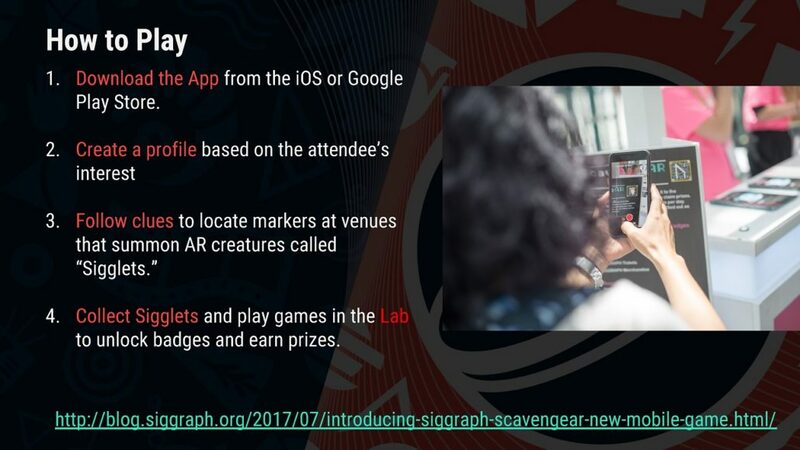 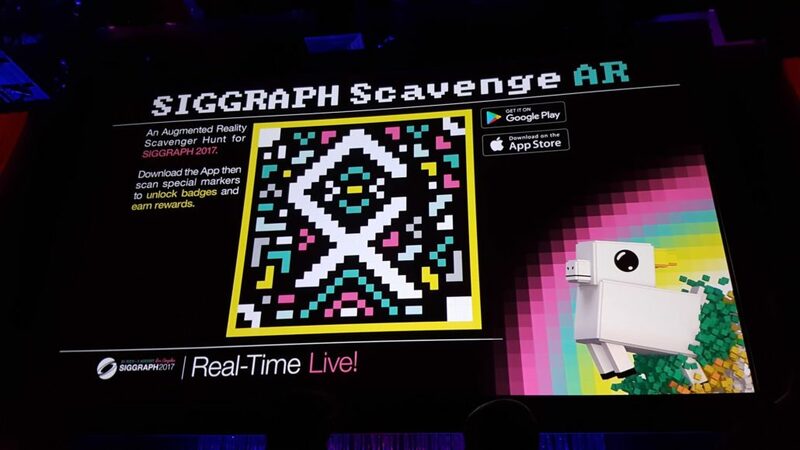 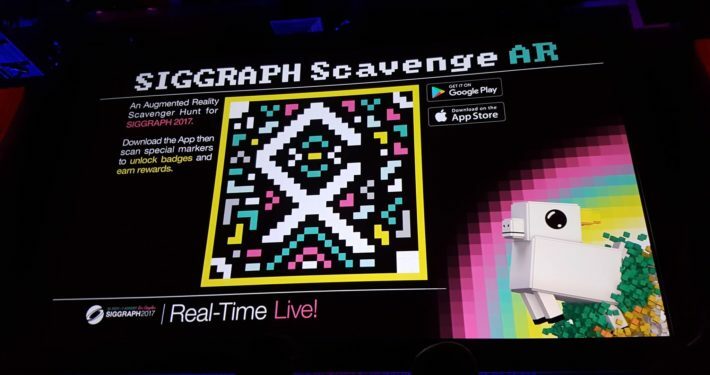 Provide unique attendee experience specific to the year’s location and theme while marketing in-app upcoming SIGGRAPH events to increase attendee retention. 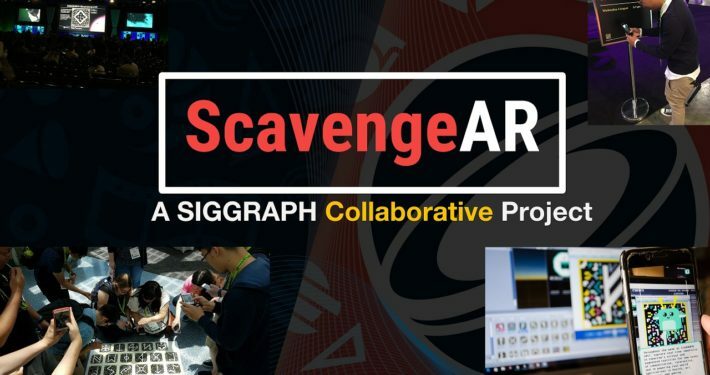 Promoting SIGGRAPH Asia. 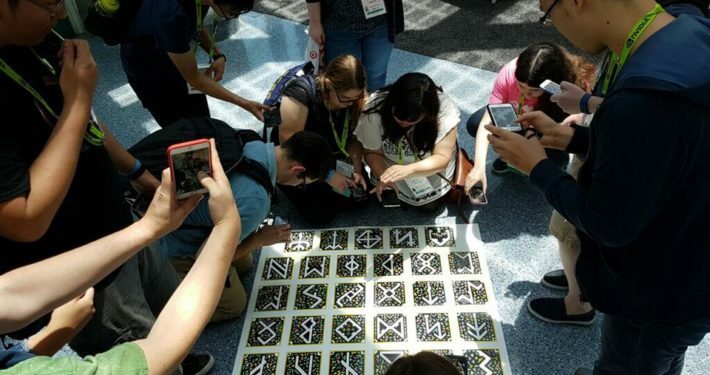 Let’s increase parity between the two! 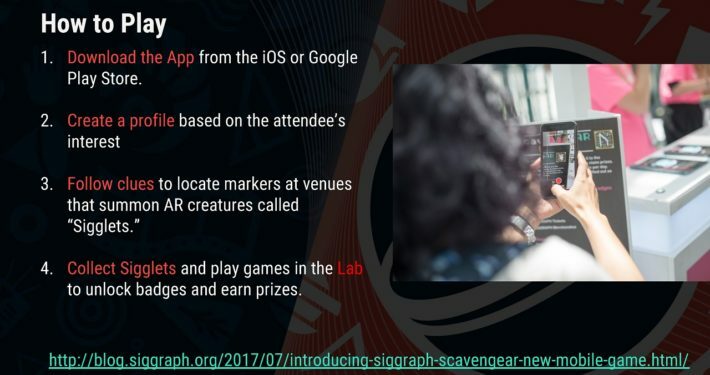 Connect the conferences by recognizing and rewarding returning players. 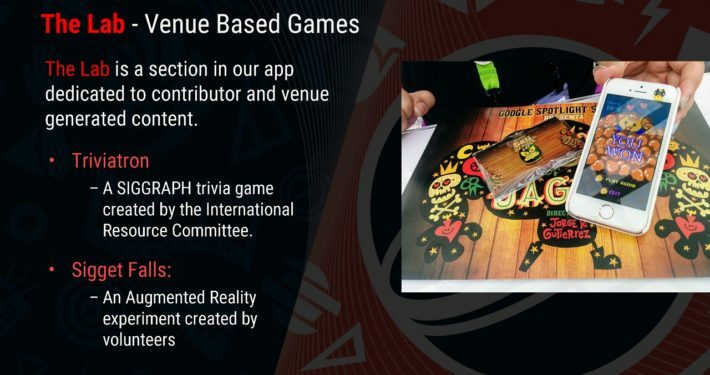 Creating a unique collectible only dedicated to players to earn and trade each year.